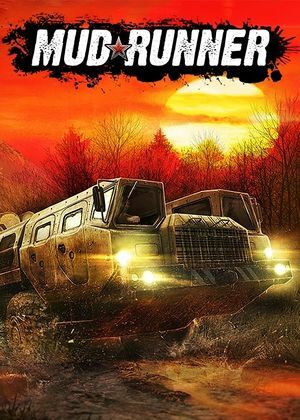 Previously titled Spintires: MudRunner, this is an updated version of Spintires with new features and content. 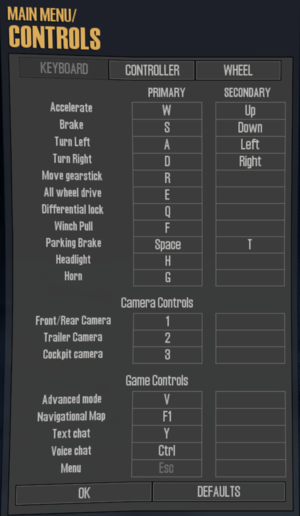 Mouse used to control the camera and navigate menus. Camera sensitivity can be changed. Overall sound, voice receive and transmit volumes; music toggle. ↑ 1.0 1.1 File/folder structure within this directory reflects the path(s) listed for Windows and/or Steam game data (use Wine regedit to access Windows registry paths). Games with Steam Cloud support may store data in ~/.steam/steam/userdata/<user-id>/675010/ in addition to or instead of this directory. The app ID (675010) may differ in some cases. Treat backslashes as forward slashes. See the glossary page for details.